Today both the semi-finals were Thailand vs. China and in the first one, Nutcharat knocked out last year’s finalist player Xia Yuying 3-1. The first frame was very tough where Xia Yuying countered Nutcharat’s break of 47 by her 31 points break to win the frame by one point. 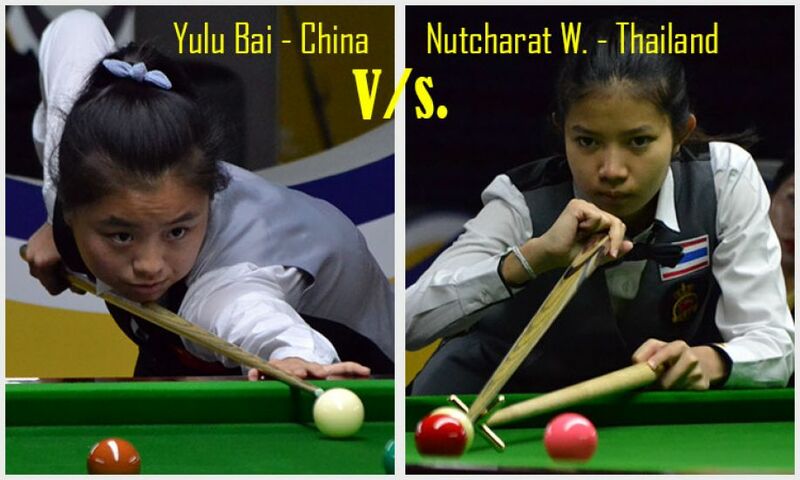 After that, Nutcharat did not give her any loose string and capitalized rest of the three frames having another 42 points match winning break in fourth frame. Another Thai girl, Thitaphon Nakkaew, who knocked out her compatriot and multiple world title holder Siripaporn Nuanthakhamjan yesterday, couldn’t do any wonder in today’s match and lost in straight sets 0-3 against Yulu Bai of China. Yulu was in constant dominating form and did not allow her to score much at any stage. She also scored break of 37 points in last frame to win 3-0. The final will start at 10:00 AM tomorrow morning (China Time).